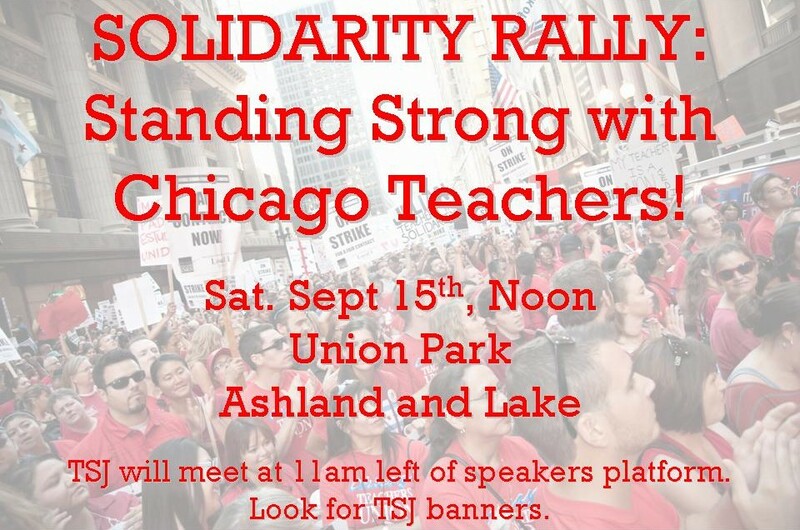 There will be tens of thousands of people in Union Park tomorrow. TSJ will meet at the left of the speakers platform (when facing it). 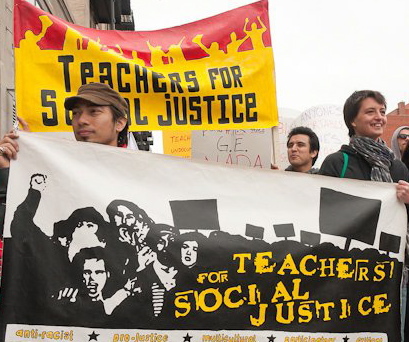 Look for both TSJ banners on sticks (see photo below) and join us there. Meet at 11:00 AM, things will be crowded! Organize for this. Reach out personally, and call/text friends and family (etc), to be there too. 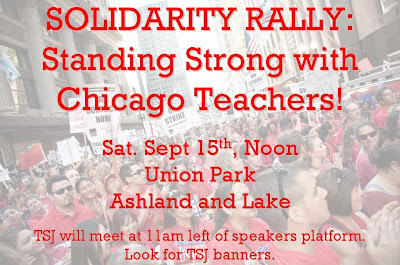 We need massive numbers to demonstrate our support for the teachers and to show our collective power. We need to give Rahm and the CEOs, bankers, and real estate magnates who run our schools something to think about as they prepare to sabotage public education, close 100-150 schools, and privatize half the system. 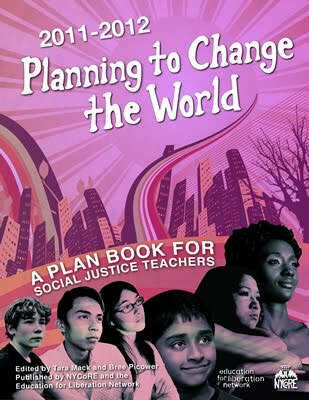 Picture educational apartheid: a school district with some good public schools (mostly in affluent and more white neighborhoods, and selective schools), charter schools like mushrooms in the South and West sides run by big charter/contractor chains, and a few minimalist public schools as safety valves for students pushed out of charters. This will mean the loss of hundreds of Black teachers as well. Looks like New Orleans and Detroit. The collective power and unity built through this strike is a precondition for the fight ahead of us.